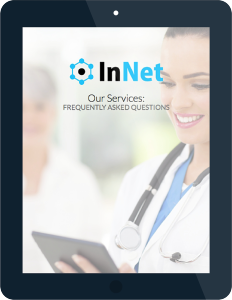 In this free guide, you’ll find all the details of getting started with InNet and our credentialing services. From what to expect when getting on insurance panels to a breakdown of pricing, some of the most commonly asked questions are answered completely in this guide. What is credentialing or ‘Provider Enrollment’? Can I get credentialed with any insurance panel? What if I have multiple providers in my practice? Can an unlicensed provider get credentialed? Can I transfer my credentials from one practice to another? Why do I need help with credentialing? How much will InNet’s credentialing services cost me? How will InNet’s credentialing services save me money? What are you waiting for? Just fill out the form to the right and get your free guide right away!